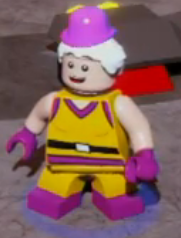 Mr. Mxyzptlk is a playable character in LEGO Batman 3: Beyond Gotham. Mr. Mxyzptlk is an imp from an alternate dimension with the ability to alter reality. He enjoys tormenting Superman. The only way to defeat him is by causing him to say or spell his name backwards. The dimension he comes from is the same as the universe from which Bat-Mite came from.